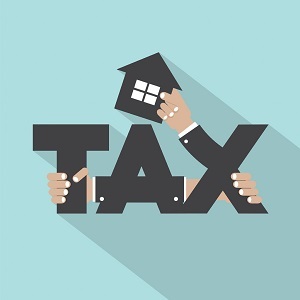 As you may know, an estate tax is a tax the government is allowed to impose on the transfer of property to your beneficiary, which is based upon the net value of your estate. In December 2017, the Tax Cuts and Jobs Act was passed and enacted, furthermore reaching the elimination of estate taxes. In this article, we are going to break down the details and changes on estate taxes, if these changes will be beneficial to you or not, as well as future changes to the estate tax laws scheduled to happen in the next seven years. 1. What is an Estate Tax? 2. What is the Estate Tax Exemption? 3. Does My State Have an Estate Tax? 4. What’s the Future of Estate Taxes? 7. Still Have Questions? We Can Help! Let’s start with the history. Federal estate taxes (also known as death taxes) were first collected in 1797 and were in effect until 1802. Throughout the 20th century, the tax was reinstated and repealed multiple times. In 2001, the modern estate tax was phased out by tax legislation, completely eliminating itself in 2010. Since the changes weren’t made permanent, however, the estate tax returned in 2011. In 2013, congress made a permanent estate tax on estates that were in excess of $5,490,000, taxing at a rate of 40%. Generally, estate taxes are collected by the IRS, but there are certain states that also collect estate taxes, which we’ll discuss further later on in the article. What is the Estate Tax Exemption and How Does it Work? An estate tax exemption is when a certain amount of an estate is exempted from taxation by the law. If the gross value of your estate exceeds the exemption amount, any money past the amount is subject to taxation. At the end of each year, the government announces the new tax exemption rate for the following year starting January 1st. Like mentioned previously, as of 2013, the exemption amount was $5 million. Now, as of January 1, 2018, the new tax exemption is $11.2 million for a single person, and $22.4 million for couples (still with a 40% tax rate). These exemptions are set up to increase with inflation every year until 2025 – the levels will then either be cut in half, or return back to the 2017 schedule after adjustment for inflation. If you pass away and your gross estate (single or married) is less than the tax exemption, your beneficiary or beneficiaries will not be taxed on your estate. If you are not married, you have the right to leave your estate to whomever you’d like – the IRS can’t take any money from you. What if you’re married? In that case, if you leave your entire estate to your spouse, the current law will double your estate’s federal exemption (in our current case, from $11.2 million to $22.4 million). The larger the exemption amount is, the smaller the chance of your estate getting taxed, as well as decreasing your estate’s tax liability when your spouse dies and leaves your assets behind. If your estate value exceeds the exemption amount, then the total amount exceeded will be taxed 40%. Your family/beneficiaries have nine months to pay these taxes to the IRS, or they will be charged interest. For example: say your estate (property, cars, jewelry, savings, etc.) gross value is 13,000,000. With a tax exemption of $11,200,000, you would have $1,800,000 of taxable assets. At a tax rate of 40%, the total estate tax liability would be $720,000. 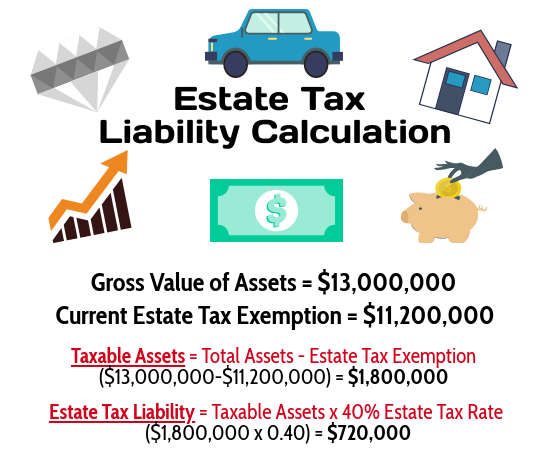 It’s important to note that depending on the size of your estate, you may want to consider the potential growth of your assets over time, state estate taxes, and any legislation changes that could decrease the estate tax exemption prior to 2026. We’ll discuss this further in our estate planning section. There are also some states that impose their own estate tax on their residents’ property when they pass away. As of 2018, there are 13 states and the District of Columbia that levy an estate tax, with Washington state having the highest tax rate of 20%. However, keep in mind that by paying an estate tax to your state, it decreases your federal estate tax liability. To explain further, let’s use New York as an example. It has a state estate tax rate of 16%. But taking into account federal tax deductions by paying that state tax, you only end up getting taxed about 9%. Note: State estate taxes, similar to federal estate taxes, are subject to change at any time, which is why we always suggest speaking with a tax attorney before you start your estate planning. What is the Future of Estate Taxes? Estate taxes change very frequently, so it’s hard to predict what they’ll look like in the future. This year, Hawaii, Maine and Washington D.C. have all matched their state exemption amount to the federal amount, which Maryland is scheduled to do in 2019, and Connecticut in 2020. On the contrary, New Jersey and Delaware decided to repeal their estate tax starting in January 2018, following Tennessee- who repealed in 2016 – and Indiana, repealing their estate tax back in 2013. Like we mentioned earlier, the exemption amounts are scheduled to increase with inflation until 2025, with the tax brackets unlikely to change until then. However, nothing is certain, and future elections may alter these rates. How Can I Avoid or Reduce My Estate Taxes? Good news – there is a way you can avoid (or at least lessen) your estate taxes! The first way that many tax attorneys, banks, and financial advisers recommend is to create an irrevocable life insurance trust (also known as ILIT). This trust is specifically set up to own a life insurance policy, which is viewed as an asset to the IRS, but it won’t increase your estate tax liability. You can either transfer ownership of an existing policy to the ILIT after it has been set up, or the trust can directly purchase the policy. You can’t personally be a trustee for the trust, but your spouse, adult children, a friend, a financial institution or an attorney can serve as a trustee for you. It is important to note that since this trust is irrevocable, it cannot be modified. To fund the trust, a permanent life insurance policy will be purchased on your behalf. When you die, your life insurance policy will pay your trust, and your appointed trustee will pay the IRS for any estate tax liabilities on your behalf. Unfortunately, if your estate is large enough, your beneficiaries will most likely owe money to the IRS after you pass. We’re sure you’re wondering, “How am I supposed to plan for the future if I don’t know what the estate tax liability will be?” We get it, that’s an understandable question. In 2012, the American Taxpayer Relief Act created a permanent estate tax exemption of $5 million (with an adjustment for inflation) and a maximum tax rate of 40%. As an estimate, in 2026 we can assume the tax exemption will be about $6 million for an individual person, and $12 million for a married couple. These amounts may change a little each year due to inflation, but for the most part, these numbers should stay constant. If you expect your estate to be worth more than these amounts in 2026, it’s safe to say that you should probably start your estate planning. This includes purchasing a permanent life insurance policy, which increase 10-15% in cost each year we wait. That’s why it’s important to apply now, versus wait a few years and pay much higher premiums! 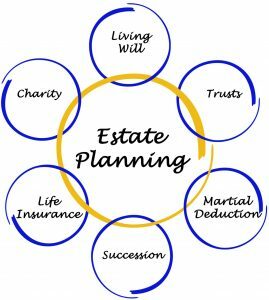 This is a lot of information to take in, and it’s completely okay if you’re still a little confused on how to start estate planning. 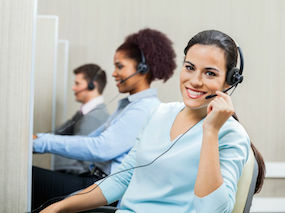 At Term Life Advice, our agents do not have sales quotas to meet, they’re just genuine people who want to match you with the best life insurance company possible. We work with over 60 top-rated companies, and have no doubt that we can find a company for you. If you would like to receive an accurate quote based on your age and health, as well as which type of policy and amount of coverage you should choose, give us a call. Toll-free, no obligations: (855) 902-6494.